With a recent focus in the news on local violence and national security threats, we’re reminded of how important it is to stay safe. While living in fear is not the answer, being intentional about safety really can change—and save—lives. We’re all busy and many reading this are already dedicating their careers to public service. Still, what would happen if we all did just a little more? Each of us is capable of making our communities safer for our families, our neighbors and ourselves. Let’s participate and have an impact. Drive safely. This might seem like a no-brainer, but it’s so important. Do you ever find yourself tempted to check your texts while you drive? It can wait. Are you keeping enough distance between yourself and the vehicle in front of you? Driving closer won’t get you there faster. Do you arrange for a sober driver before you have a few drinks? It’s not just your own safety you risk, but that of others on the road with you. 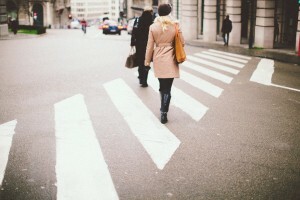 Do you drive through uncontrolled crosswalks where pedestrians are waiting? They might walk out, expecting you to stop. Do you recognize the dangers near railroad tracks? Trains are far more powerful than the vehicle you drive. It can take them a very long time to stop or slow down. These things that seem like common sense are common sense, so let’s put that sense to work. Join your local volunteer police or fire group. This can be a challenging role, but a rewarding one. Visit your city website and look into police or fire volunteer opportunities. By dedicating a little time to training, you will be prepared to assist when they need extra hands on deck—whether for special events, emergencies or routine tasks. Join your nearest CERT team. Community Emergency Response Teams (CERT) do amazing work in countless communities. Do you know what your community needs in the event of disaster? Check out the CERT website to learn more about these teams and find one near you. You’ll be educated in topics like fire safety, light search and rescue, team organization and disaster medical operations. Talk to your elected officials. Let your city council know you care about things like well-lit streets, well-marked bike trails or better traffic control. By speaking up, you can make sure these topics do not fall by the wayside. You don’t need to draft a petition or send out 100 letters. Just give them a call or send them an email, letting them it is important to you. Get involved with a crime prevention program. Neighborhood Watch has been around since the 1970s and has proven repeatedly to be an effective crime prevention program. By taking the initiative to get organized, you can build a community where neighbors are watching out for each other. Learn more about Neighborhood Watch here. To learn more about other crime prevent programs offered by the National Crime Prevention Council, click here. If You See Something, Say Something™. The Department of Homeland Security, in an effort to teach the public about terrorism indicators, began the “If You See Something, Say Something™” campaign. It asserts that if you see suspicious activity, even if you aren’t certain anything is wrong, you should report it to law enforcement authorities. To learn more about how you and your community can help support national security efforts, check out the campaign’s public service announcements here. Get to know your neighbors. This might seem unrelated, but it really isn’t. By knowing the ins and outs of your neighborhood, you know who and what your community needs to protect. Do they have small children? Any elderly in the home? You won’t know when something is “off” if you don’t know what to expect when all is well. In addition, you’ll want to know if you have neighbors who might be involved in criminal activity. Talk safety with your children. This might sound like a no-brainer, too, but it couldn’t be more crucial. Teach them the basics: how to cross the street, not to talk to strangers and how to call 911. But teach them about the more complicated things, too. Do they know whom to call if their sibling ingests a chemical and you are not at home? Do they know about gangs and how not to get involved with one? Do they know about sexual consent and abuse? Do they know to listen to public safety officials? Do they know about drugs? Bullies? Do they understand the criminal justice system? Do they know how local government works? While vigilant citizenship is so important, it is also easy to think, “That won’t happen to me,” or “That’s someone else’s job,” or “That won’t happen here.” But it can. Hold yourself and your community to a higher standard, by doing just a little more. I challenge you to try at least one item on this list this year, to do your part in building a safer world.